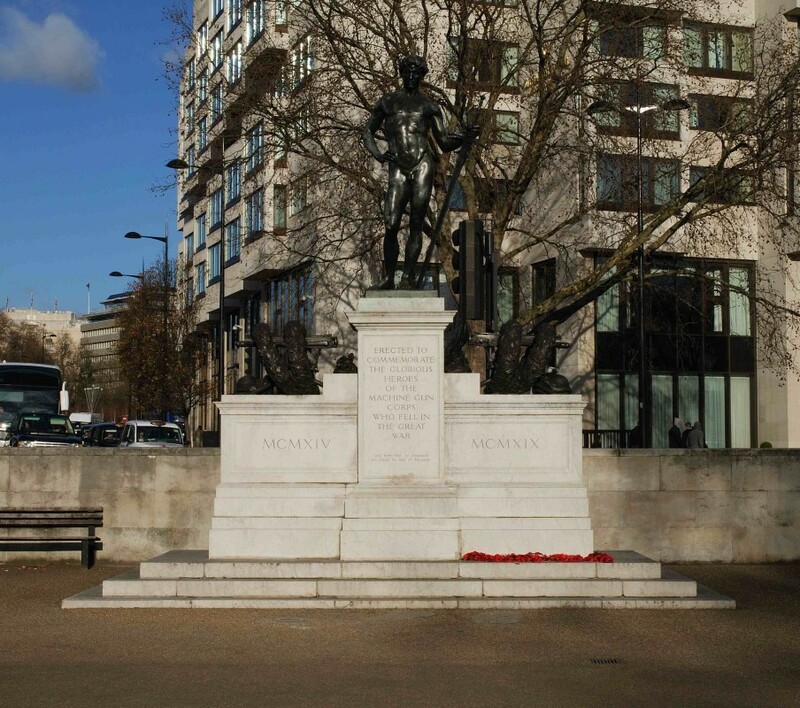 The 9ft bronze figure of David presented the perfect image of the youthful soldier as well as the solitary nature of the machine gunner with deadly associations ‘Saul has slain his thousands, but David his ten thousands’ (Simon 18:6-7). The ‘Glorious Heroes’ are awarded with wreaths hung over life-size replications of machine guns, the instruments of mechanised massacre, to either side, accompanied by neatly-stacked soldier’s packs and helmets. The base was also designed by the sculptor and is of stainless Mazzona marble. “my work begins where that of the surgeon ends. When the surgeon has done all he can to restore function, to heal wounds, to support fleshy tissue by bone grafting, I endeavour by means of the skill I happen to possess as a sculptor to make a mans face as near as possible to what it would look like before he was wounded”. 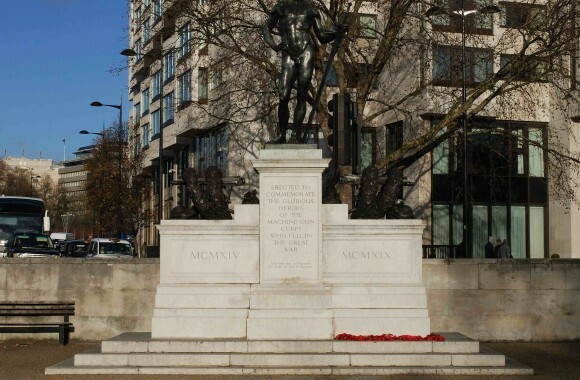 Wood went on to design war memorials in Liverpool and Ditchingham, Norfolk. The sculptor believed that memorials should not disguise the tragic reality of war. His bronze sculpture Canada’s Golgotha (1918) illustrated a Canadian solider crucified on a barn door, surrounded by laughing Germans. The story was later debunked, resulting in a government ban on publicly displaying the piece until 1992; new evidence was uncovered in 2002 confirming the incident.